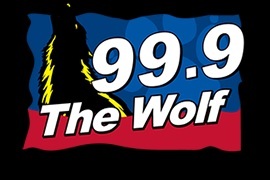 Rene Letourneau of Maine Escape Games had a great time talking to Dave and Michelle at 99.9 The Wolf. Listen to the interview here. News article on Maine Escape Games opening in South Portland. Kate Collins with Current Publish reported on Maine Escape Games opening and the escape room trend that is sweeping the country. The article reports on why Maine Escape Games chose their location in South Portland with the primary reason being that it has easy access to Portland and the greater Portland area. The article also discusses where the escape room trend started. If you are looking for fun things to do in the greater Portland area then look at the other articles on their website. View a few examples of escape rooms. Conan and Jordan Schlansky try an escape room. The CBS2 This Morning Team Tries an escape room. © 2015 Maine Escape Games. All rights reserved.